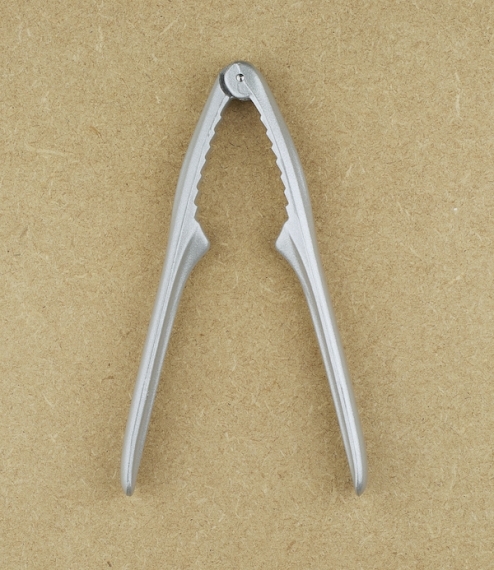 A simple clean lined classic nutcracker from Westmark of Elspe. Made of aluminium coated with a food safe enamel turning around a hardened steel pivot. Still cast in the original post-war dies these are somewhat anachronistically, albeit charmingly, marked W.-Germany. Once claimed to open even the strongest nut so convinced were its makers of its strength and longevity they had the audacity to call it Hercules. Just over 15cm in length.